Your mind actually represents you. The more regulated your mindset is, the more disciplined your life will be. Wisdom Times presents to you ’51 Best Law of Attraction Quotes’ with an intention to help you cultivate that positivity in life and become more optimistic, achieve great heights. I love this quote personally! 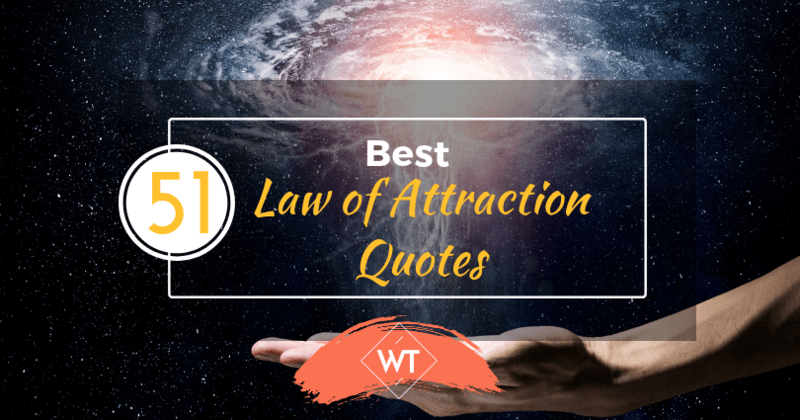 We hope these 51 best law of attraction quotes have made some changes to your perspectives on one’s mindset and how impactful a steady mindset can be on a person. We hope this law of attraction quotes help you in inculcating some of these quotes in your life and make it more purposeful. Cheers from Wisdom Times. We would also like you to go through our article on a few steps to make Law of Attraction work for you. Law of attraction is a great way to manifest your desires and your entire thought process. You just have to believe in its course and know the steps to make it work for you. As an editor for Wisdom Times I am passionate about reading, writing and poetry. I enjoy hosting radio shows as well. My stress busters include music and yoga!